Ideal for hard-standings or for building sub-bases on which to pour concrete. 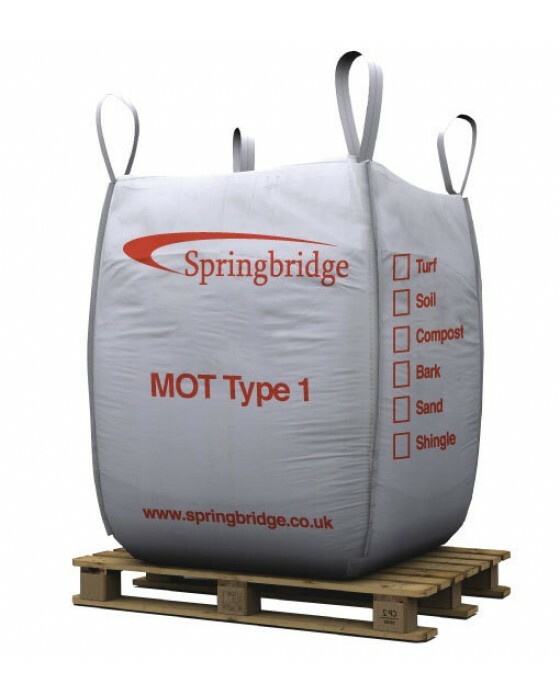 MOT Type 1 (named because it is specified for road building by the Ministry of Transport) can be made from granite, limestone or old concrete that has been crushed to between 1mm and 40mm. It’s the most widely used base for roads, car parks, footpaths, driveways, building bases and any application where a firm sub-base is required. - Bulk Bag Dimensions: 950mm x 850mm x 750mm and have a maximum capacity of up to 1 ton. I can honestly say that I have never had as good a service as your firm provided to me. I ordered the topsoil at around 7:30 am after my wife sa..